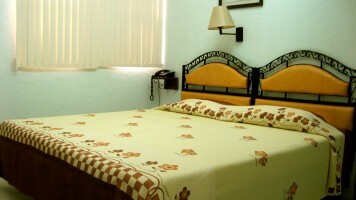 Air conditioned rooms that are good for two people furnished with either two twin beds or with a king size bed. 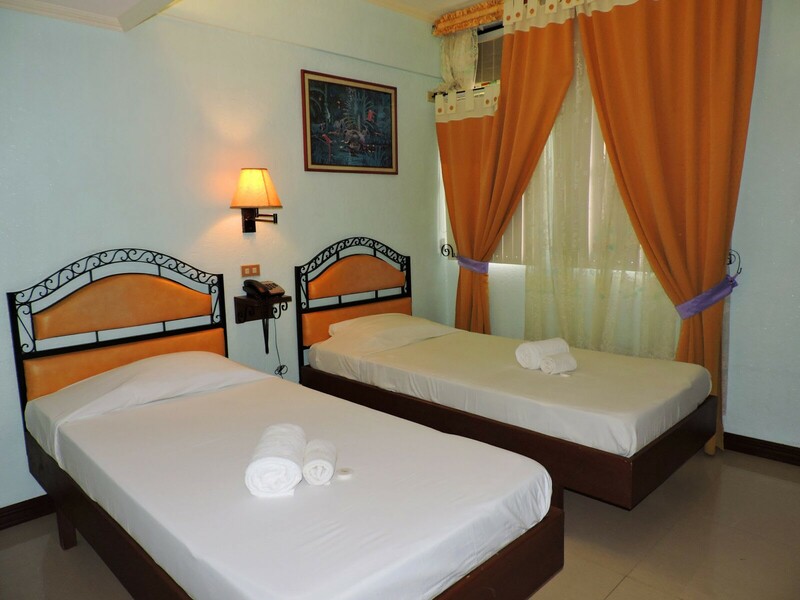 The rooms are well decorated, comfortable and above a standard that one would expect to find in a small town like Jagna. All rooms have a private bathroom with hot and cold showers. Each room is furnished with cable television featuring local channels as well as HBO, Cinemax, CNN, FOX, and many other foreign channels. Room service is also available. Free WiFi is available for check-in guests only. 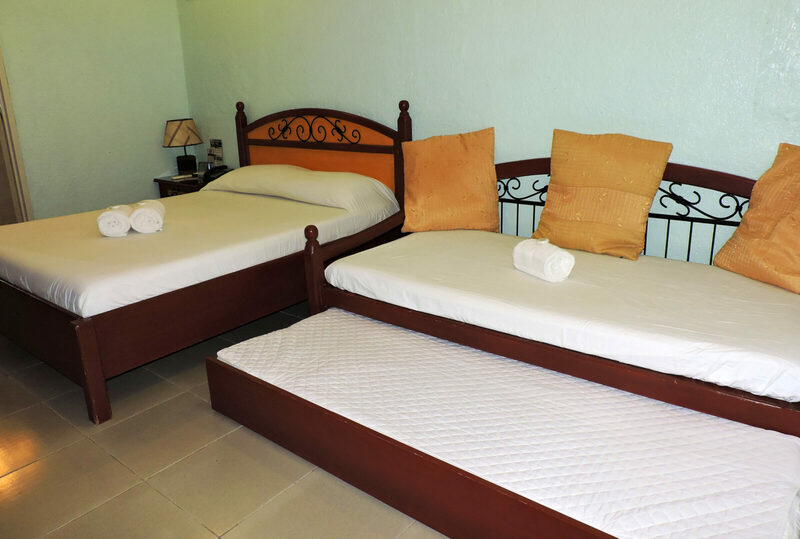 Air conditioned rooms that are good for 3 people furnished with either two twin beds or with a king size bed. 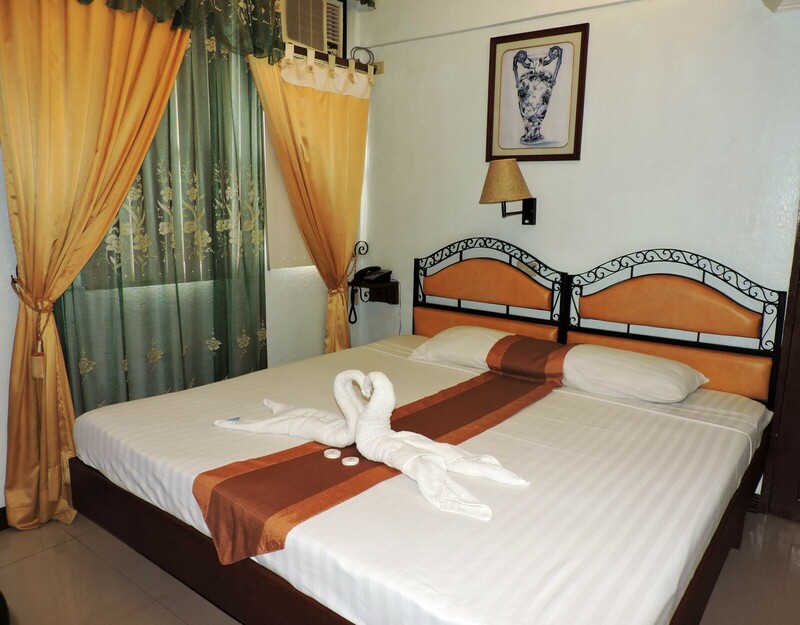 The rooms are well decorated, comfortable and above a standard that one would expect to find in a small town like Jagna. All rooms have a private bathroom with hot and cold showers. Each room is furnished with cable television featuring local channels as well as HBO, Cinemax, CNN, FOX, and many other foreign channels. Room service is also available. Free WiFi is available for check-in guests only. 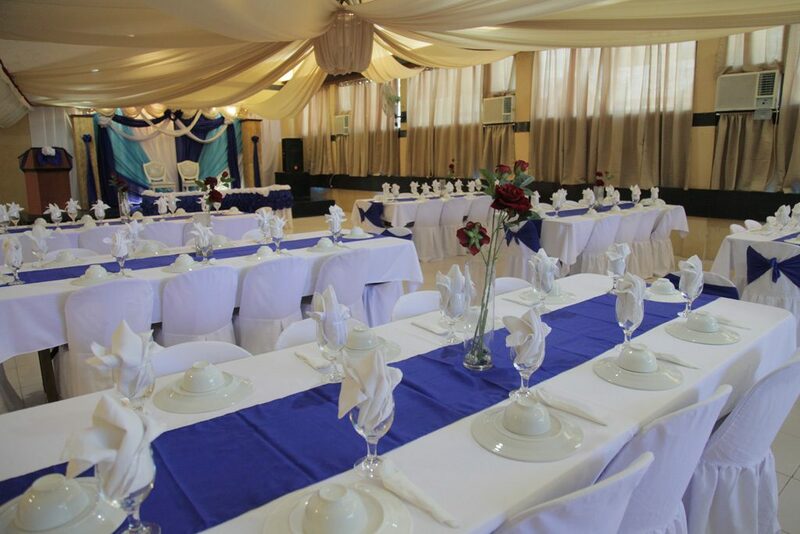 We are able accommodate up to 350 people in our fully air conditioned function hall. This is perfect for occasions such as wedding receptions. Please contact the manager for these kinds of services.